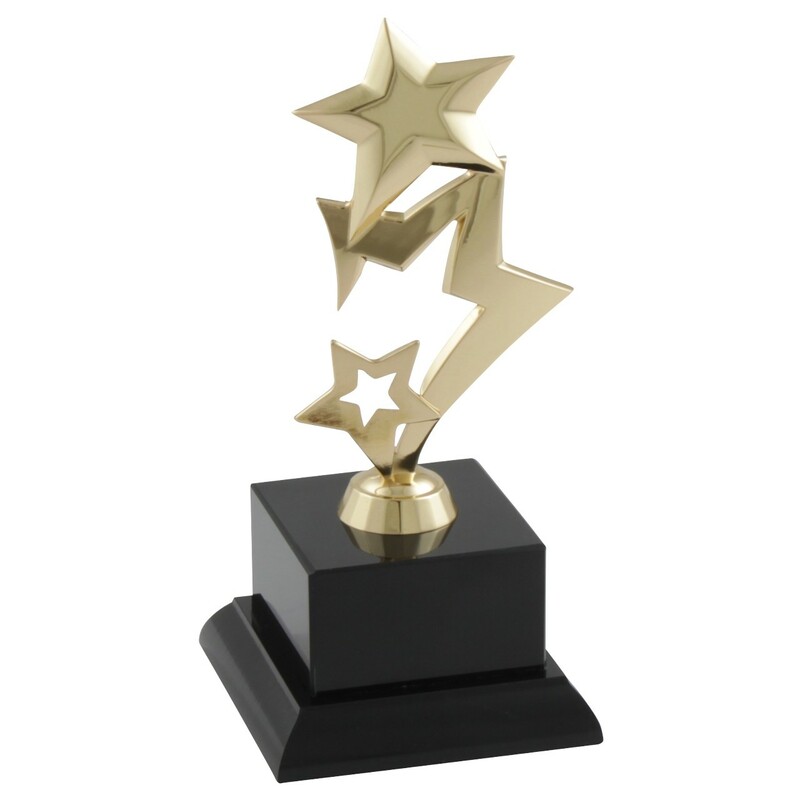 This achievement trophy can be used at any corporate, office or family event! 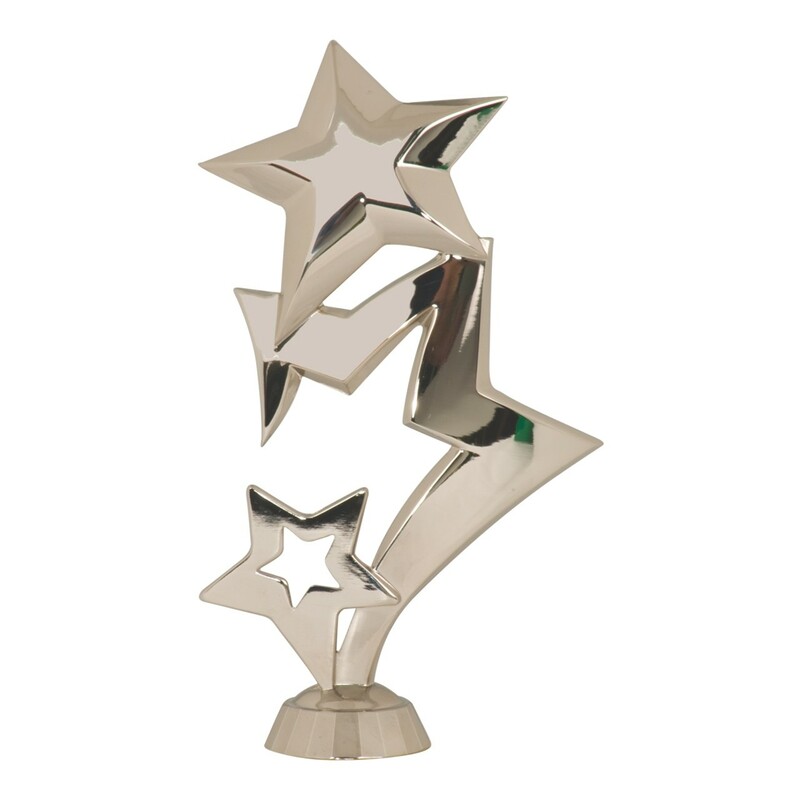 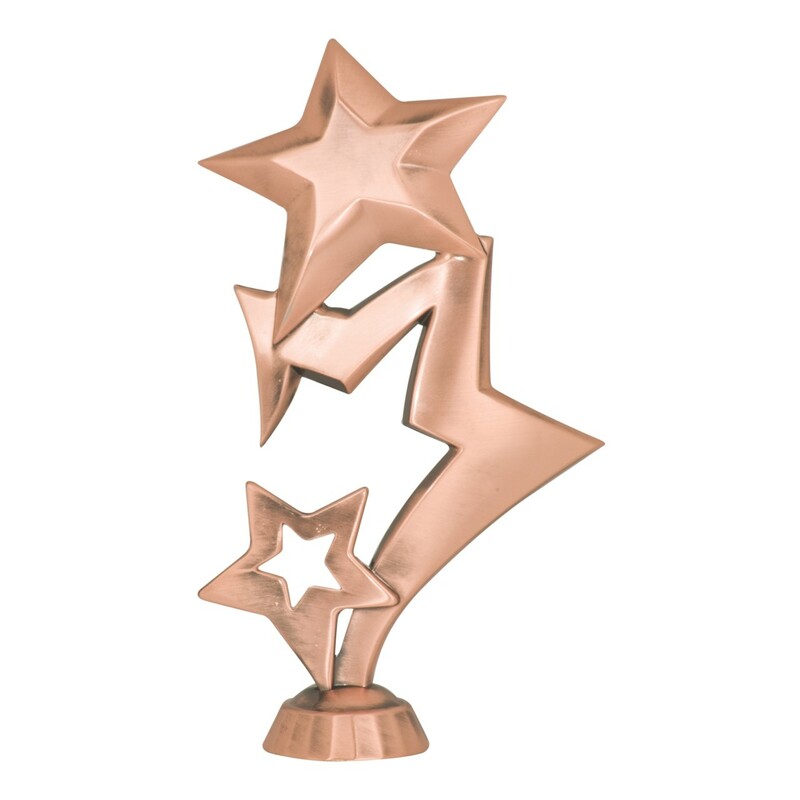 Substantial and heavy, the Whimsical Metal Star Trophy with Marble Base features three interlocking metal star figures atop a solid marble base. Include customized engraving or logo on the base, its included for free! 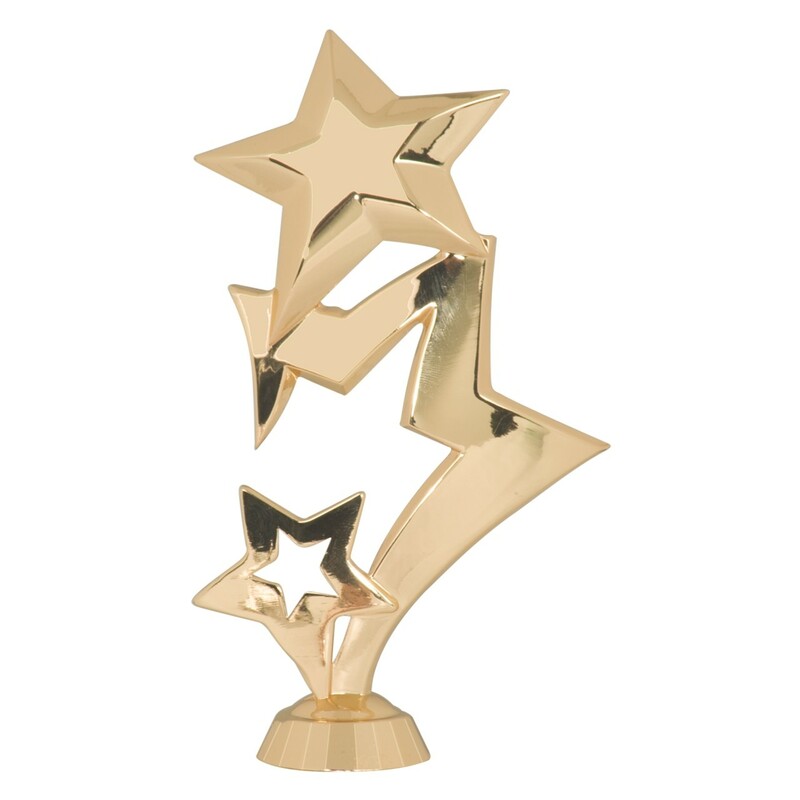 In your choice of gold, silver and bronze for your first, second, and third place finishers!